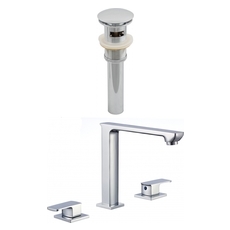 Bathroom faucets come in a variety of options: the main faucet designs to keep in mind are the centerset faucet (with one or two handles), widespread faucets, and wall mount faucets. 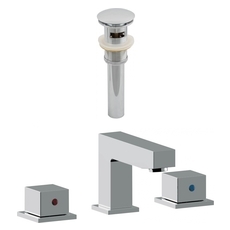 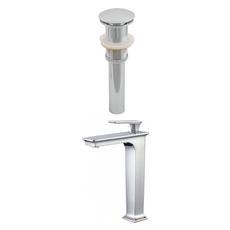 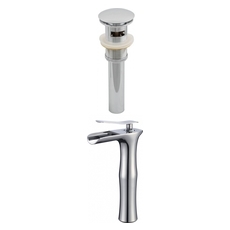 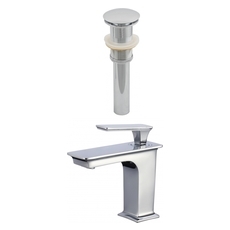 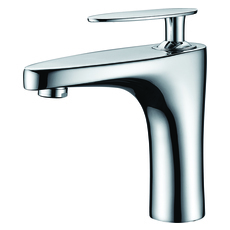 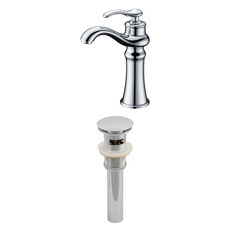 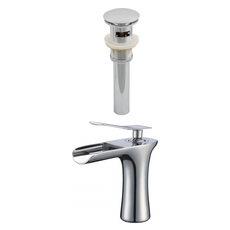 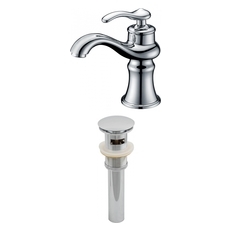 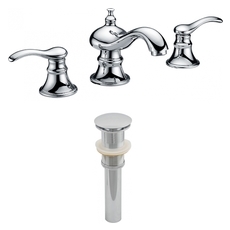 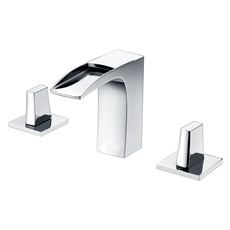 One handled faucets make it easier to control the temperature of the water and they tend to be cheaper as well but all of the designs come in a variety of finishes and prices. 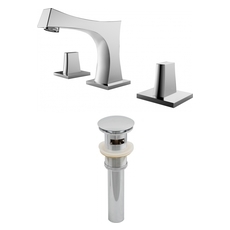 Aside from faucet style, which is a mostly subjective thing, it's important to verify that the inside parts of the faucet are going to serve you well - i.e. 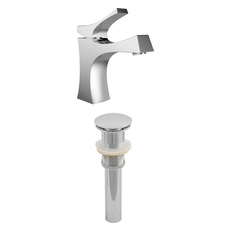 as a loose rule, don't buy the cheapest faucet. But also, either buy your bathroom sink and faucet together or make sure you know exactly what your sink requires as you shop around for a faucet, so you don't have problems later trying to make the two fit each other.